In Switzerland, the support for homeopathy has been so strong that two-thirds of Swiss have backed its inclusion on the constitutional list of paid health services. The country has a total population of eight million people. This means that (along with 4 other complementary therapies), homeopathic treatments are now covered by basic compulsory insurance. This was originally part of a trial, with the requirement to prove the treatment’s “efficacy, cost-effectiveness and sustainability” by 2017. However the Interior Minister, Didier Burkhalter has since agreed that it is “impossible to provide such proof for these disciplines in their entirety”. The ministry now plans to continue allowing reimbursements of treatment costs by compulsory health insurance, provided certified medical doctors administer them. The medical establishment has praised the decision to put the case before international scientific scrutiny while complementary medicine proponents welcomed the chance for “fair” assessments. The government’s proposal also includes provisions to increase research and training in the field. In addition to the reimbursement of treatment costs, diplomas for non-medical practitioners of alternative therapies will be recognised. There will also be more collaboration between alternative and classical medicine and increased research. In Switzerland, the support for homeopathy has been so strong that two-thirds of Swiss have backed its inclusion on the constitutional list of paid health services. Hansueli Albonico, president of the Union of Associations of Swiss Physicians for Complementary Medicine, noted that practitioners were “confident” in the outcome based on “solid facts from existing scientific studies – of which we already have 2,000 clinical trials”. Especially, if these contribute to a “fair assessment”. Switzerland has more complementary medicine practitioners per capita than anywhere else in the world – 17,200 registered with health insurers – this is largely due to the coverage of complementary medicine within insurance packages. Albonico, said it makes sense for the next step to widen the terms of reference for medicine. As well as Homeopathy, the other therapies now covered by basic compulsory insurance are: holistic medicine, neural therapy, herbal medicine, and Traditional Chinese medicine (including acupuncture, chinese herbal medicine, massage, exercise and nutrition). Australian Homeopath, Lesley Greig has worked in Switzerland as a homeopath. Her experience was that the public could only claim homeopathic treatments on their basic compulsory insurance if the prescriber is a doctor. However, more private health fund providers offer packages, which include homeopathy, than what is generally on offer in Australia. Lesley also found that the regulations were stricter than in Australia – when applying for Homeopathic status and when supplying the remedies. 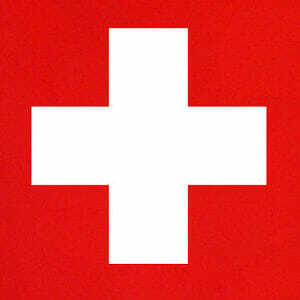 The general consensus within Switzerland seems to be very accepting of homeopathy. 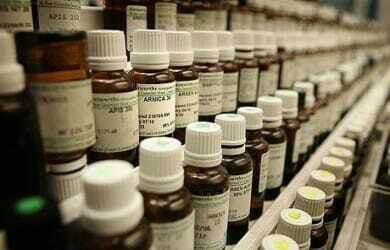 It is not questioned and you can readily find a homeopath in many pharmacies.